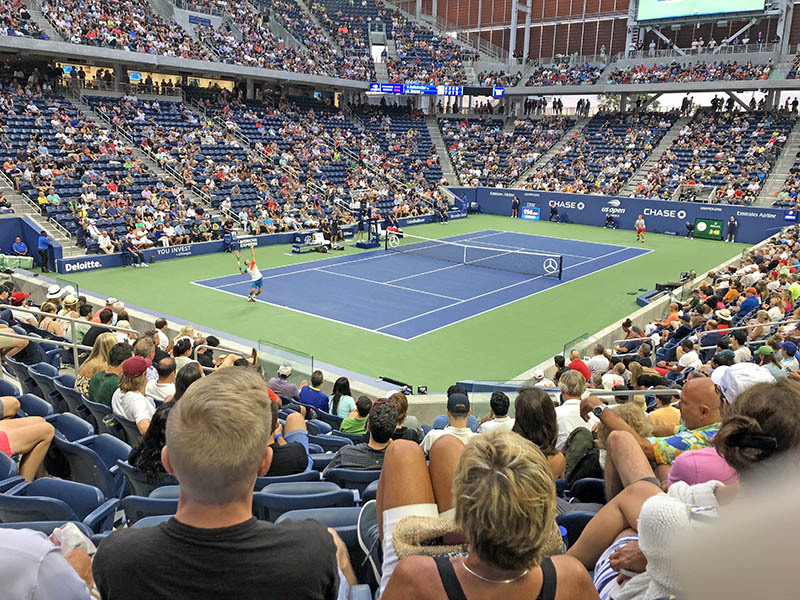 A few of a U.S. Open tennis match from the stands. The US Open tennis tournament is unlike anything I have ever been a part of. I can’t get enough of it. The atmosphere, the crowd, the players and the organization make it a great experience that is unforgettable for me. I’m a fourth-generation tennis player. I love the game and have been playing since I was 10 years old. 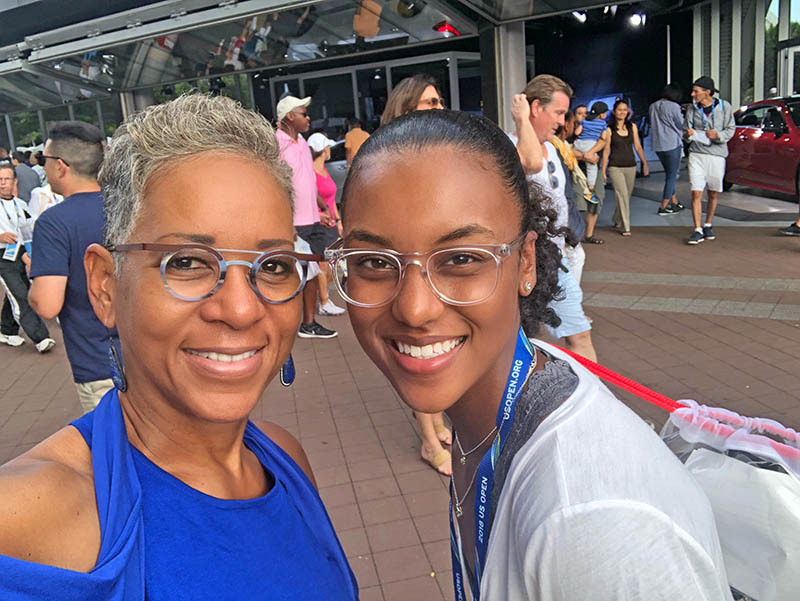 I played on the Homewood-Flossmoor High School girls varsity team, and have played in a number of junior United States Tennis Association regional and national tournaments. 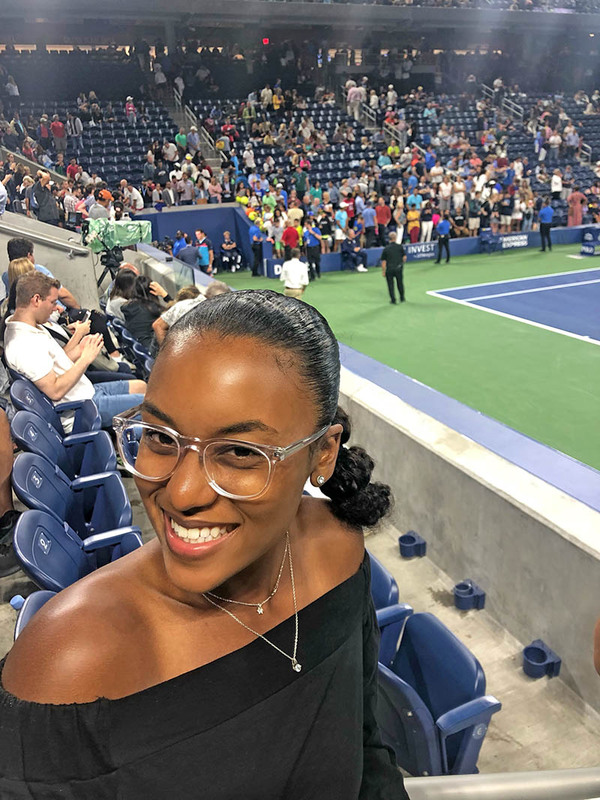 I’ve been coming to the US Open since I was in the fifth grade at Western Avenue School. The United States Tennis Association (USTA) owns and operates the US Open Tennis Championships held in Flushing Meadows, New York. It is one of the world’s highest attended sporting events. The US Open is America’s Grand Slam tournament and this year is the 50th anniversary. The USTA is a not-for-profit organization whose single mission is to promote and develop the growth of tennis. But my trip to the US Open this year was special for me because I was there as a credentialed media member. I was blessed with the opportunity to actually enjoy working from 9 in the morning until midnight at my favorite tournament in the world. Being a 19-year-old credentialed media member at a professional sporting event is an experience I will cherish. Since graduating from H-F in 2017, I’ve been writing for the Homewood-Flossmoor Chronicle over summer breaks. I learned to be determined when interviewing for an article and how important it is to do research before even touching the keyboard to write the lead. The Chronicle also taught me through trial and error how to be a better journalist. I used those skills at the US Open, and I learned there is so much more to learn and understand. Working alongside other media personnel, I made connections that helped me quickly acclimate and will be extremely helpful next year. As a credentialed media member there is a lot of work to be done while you are on the grounds. However, with this work there are many perks that the average tournament-goer cannot access. For example, as a credentialed media member I was allowed admittance to enter any court, including the stadium courts, without a ticket. I could attend press conferences and had access to the media center. While media access is exciting, it also holds a lot of responsibilities. I was responsible for planning and conducting interviews with other personnel and people on the grounds. It wasn’t very easy to set up and conduct interviews in this environment. I watched and I learned a lot over Labor Day weekend. Professional tennis is a fast paced sport. In the game of tennis, a player must have a positive attitude for the most part and short-term memory when it comes to losing a string of points. Not only have I experienced this first hand as a player, but I watched from the front row for the first time how professional players deal with anxiety, intensity and stressful moments. It was fascinating and invigorating. I have great respect for the professional tennis players using their athleticism to run up and down the court in sweltering temperatures and high humidity levels. I was soaking in sweat just watching. The Open also hosts a junior US Open tournament on the tournament grounds. 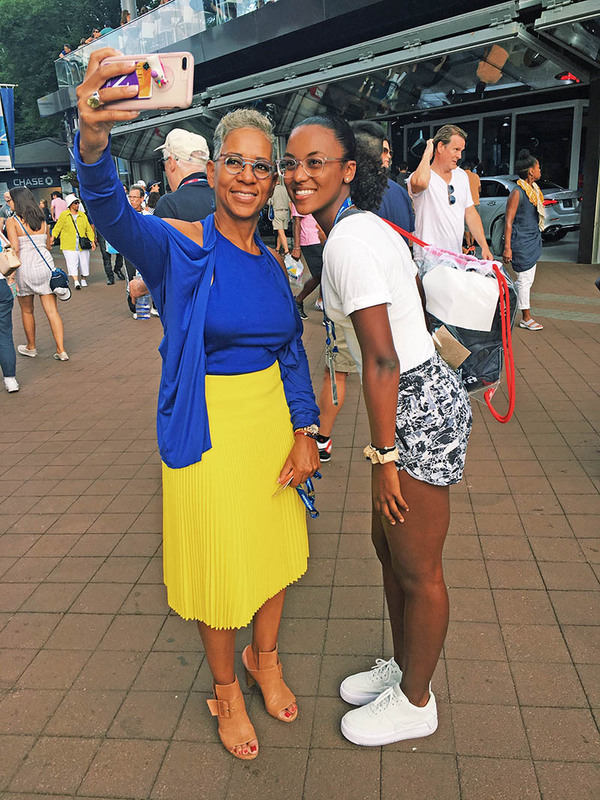 The professionals play only a few feet from the junior participants who are 18 years old or younger and in the top rankings of the junior International Tennis Federation (ITF). Aside from working, I had the chance to enjoy watching the junior matches between people I grew up hitting with and competing against. It was amazing to see how far they’ve progressed and to see them continue doing what they love before going to compete at the college level or on the professional circuit. I’m playing Division I tennis at Florida A&M University and am a sports writer for the Famuan newspaper there. Tennis will always be “my sport.” And, I’m hoping journalism will be my profession. 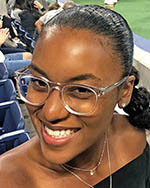 Editors’ Note: Haleigh Porter is a sophomore at Florida A&M University. She is the daughter of Fulton and Lisa Porter of Flossmoor.